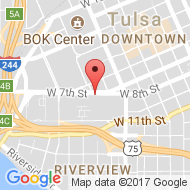 Criminal defense attorneys in Oklahoma are prohibited by rules of professional ethics from charging fees based on results. The same rules don’t apply to the state’s crime labs where employees provide forensic science expertise for the prosecution. Oklahoma is among several states where forensic science is funded by fees levied against defendants upon conviction. Does it matter? Yes, it does. A report in the July, 2013 edition of Criminal Justice Ethics concluded that a pay-per-conviction scheme used to fund forensic science in several states can cloud forensic scientists’ judgment and lead to wrongful convictions. 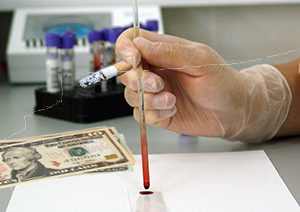 In Oklahoma, anyone convicted of a crime in which a state lab provided forensic science services is assessed a $150 fee. In 2009 (the most recent year for which an OSBI audit is available online) Laboratory Analysis Fees comprised $893,472 of the state agency’s budget. The problem of incentives and bias isn’t limited to just crime labs. Titled The Criminal Justice System Creates Incentives for False Convictions, the report cites incentives at every level of the criminal justice system that contribute to systematic bias. The increasing reliance by police agencies on computerized crime tracking systems encourages police to under-report crimes that they aren’t likely to close with a conviction, the study found. In New York City, after police introduced a computerized COMPSTAT system, they focused their effort on policies like stop-and-frisk that result in a high ratio of convictions. The convictions tend to be for crimes first reported by police rather than by the public. Tulsa police began using a COMPSTAT system in 2009. The tendency for prosecutors to overcharge defendants in an effort to force a plea bargain was widely recognized long before the Criminal Justice Ethics report was released. Rather than acting as a neutral “minister of justice” as the American Bar Association prefers of prosecutors, prosecutors’ desire to get as many convictions as possible often outweighs the duty to fairly administer justice, the authors noted. Defendants who rely on court-appointed counsel are further at a disadvantage. Fee caps and heavy case loads encourage public defenders to negotiate plea bargains rather than fight to clear wrongfully accused defendants. Authors of the study could not readily say if the systematic bias results in a large proportion of wrongful convictions. In a justice system that churns out a million felony convictions a year, even low rates of wrongful convictions can result in a large number of innocent people convicted of crimes they didn’t commit. “Such scandals have been occurring with mind-numbing frequency since 1993,” the ABA Journal article stated. Incentives that fund crime labs based on convictions are only one of several systematic flaws that tilt the crime lab system in favor of the prosecution in Oklahoma. A report by a multidisciplinary panel in Oklahoma this year found that our state is the only one in the nation that doesn’t have a law that requires some forms of post-conviction DNA testing. The panel also recommended that the legislature require fingerprint examiners to be accredited, which is currently not the case. Beyond those simple moves proposed by panel of defense, prosecution, police and judicial professionals in Oklahoma, the Criminal Justice Ethics report cited several steps that might make forensic science laboratories more fair nationwide. Crime labs could be independent agencies, not supervised by the police agencies that rely on the outcome of forensic science. Random testing could verify the systematic reliability of forensic science. 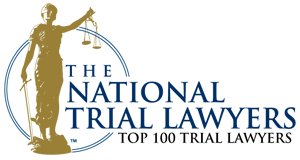 After citing recent crime lab corruption in Boston, St. Paul and New York City and West Virginia, the ABA Journal article said few could rival the West Virginia scandal where test results were falsified in 134 cases during a 10 year period. Among the only rivals the American Bar Association could find to match the West Virginia scandal was one from right here in Oklahoma. The Oklahoma City Police Department fired Chemist Joyce Gilchrist in 2001 after she’d testified in 23 death penalty cases, including 12 that lead to executions. She was fired for providing false or misleading testimony. If you’re charged with a crime in Oklahoma, you’ll be facing police, forensic science experts and prosecutors who all have systematic incentives to convict you regardless the merits of the case. If you rely on a public defender, you’ll be represented by an office that faces economic motivations beyond your particular interests in winning your case. Your best chance of clearing your name when accused of a crime in Tulsa is to retain a skilled Tulsa criminal defense lawyer. Before you let a prosecutor scare you into a confession with a daunting claim to have solid forensic science on their side, consult a Tulsa criminal defense attorney. Even if you’re considering an indigent defense, you might first want to get a second opinion about how your case would be handled by private criminal defense attorney. For a free, no obligation consultation with a Tulsa criminal defense attorney, call the Wirth Law Office today. You can reach us by phone at (918) 879-1681 (or toll free at (888) Wirth-Law) or submit the question form at the top right of this page.